In covering the police sweep that cleared protestors and their tents from Zuccotti Park early Tuesday morning, the news media turned to Prof. Bennett Gershman. A Constitutional law professor at Pace, Gershman was formerly a prosecutor with the Manhattan District Attorney’s Office for six years, where was in charge of the office’s prosecution of protests and demonstrations. The camp itself can be considered a type of speech because the tents “dramatize the disparity in wealth between . . . the 99 percent and the 1 percent,” Gershman said. A letter to Mayor Michael Bloomberg from Zuccotti Park’s owner, Brookfield Properties, said the camp violates zoning law granted by the city. New York Supreme Court Justice Michael Stallman cited that in his ruling. 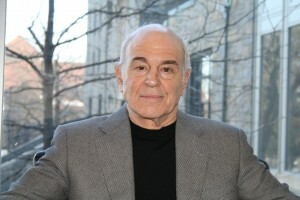 Gershman said lawyers for Occupy Wall Street, however, have several arguments that they can make in an appeal. Attorneys for the protesters were unsure Tuesday if they would appeal, reports said. “They can try to argue that [camping out] is the most effective form to convey their message about the disparity in wealth. It really does show it in a visual way,” he said. In addition, lawyers can argue that the demonstration is relegated to a certain space and is not disrupting traffic, Gershman said. Finally, the city has already allowed the protesters to stay there for two months, he added. “The city in a sense conceded that staying in the park doesn’t really undermine public interest, and if the city wants to clean it up from time to time or inspect it, it can still do that,” Gershman said.